5 Reasons to Replace Your Lotion With Coconut Oil! I am in LOVE with my extra virgin coconut oil (EVCO), which I recently purchased from Nutiva! I will forever sing the praises of coconuts. So, it's no surprise that I have loved coconut oil for a long time since I use an Ayurvedic herb-enriched coconut oil in my natural hair regimen, called Vatika oil. But, I never tried the good old coconut oil that everyone raves about. I have always heard about the benefits of good old coconut oil on hair, skin, and nutrition, but for some reason, I kept putting it off. While spending a random evening educating myself on Ayurveda and general holistic nutrition, I kept coming across coconut oil in literally every post or video. I decided to take the plunge and order the oil (along with many other goodies I will review soon such as wheatgrass, chia seeds, etc). I have been using the oil for many things like massages, food, and hair-care. [Update (7.17.12): I REALLY dislike coconut oil on my hair. After some research, I learned that this is because it has a lot of protein, and for hair that is healthy and has enough protein, coconut oil can make the hair brittle & dry. I will stick to using Vatika coconut oil on my hair from now on. ]But, my favorite use of this oil has been as a lotion replacement. I have been searching for an all-natural organic lotion for my skin-care regimen. I have also been looking for ways to reduce spending and take advantage of multi-use holistic products. As I have said before, I think there is nothing better than being able to use something on your skin, hair, food, nails, etc.! What we put ON to our body goes IN to our body whether you like it or not. So, it is really important to use high quality products. Your health will thank you later. All I do is slather coconut oil on my face and body after taking a hot shower and I am left with the most supple, mildly sweet-scented skin in the world. It's really awesome. I definitely prefer applying coconut oil over my shea butter now because coconut oil does not leave my skin oily at all. Coconut oil also absorbs extremely quickly into the skin. Most importantly, it doesn't cause any adverse skin effects and is known to actually cure almost all common skin conditions. Now, that I've shared my love of this oil, let me share with you what makes coconut oil so great for your skin! Coconut oil is one of the few oils out there that penetrates your skin similarly to water and actually moisturizes your skin. Yet, because this moisturizing product is an oil, it also does the job of sealing your pores, forcing the natural fats to be deposited and trapped right under the skin. What can be better than having a product that's derived from a natural whole food? Exactly. No petrolem, PEGS, parabens, or other nasty chemicals and bi-products. Just natural goodness. 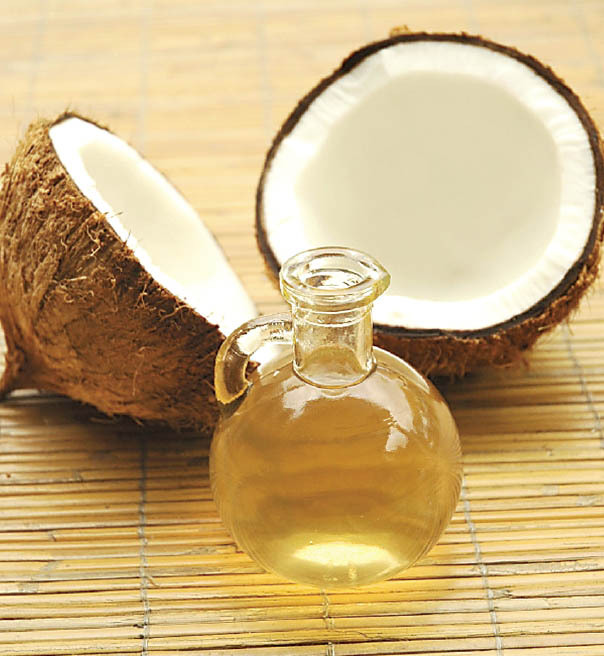 Coconut oil contains capric, caprylic, oleic and lauric acids, and other medium chain fatty acids and triglycerides. These keep the skin soft and smooth. They have distinct anti-microbial and disinfectant properties too. Full of anti-oxidants, healthy fats are essential for immunity. Vitamin E is essential for cell growth and skin repair. It protects against wrinkled, cracked, and aged skin. Proteins give the skin firmness, keeping skin healthy and rejuvenated. Polyphenols, a rich source of anti-oxidants, are what make coconut oil smell good. Apply this to your skin and you can walk around smelling like a tropical delight. Now you know why coconut oil is my new "lotion"! I love coconut oil as well. I switched over from using olive oil on my skin because it was a bit too greasy. I love the smell of coconut oil the best.